I have been standing back, observing, watching, waiting, to see what directions people take in response to the idea of ‘enforcing independence’. I particularly like the line ‘So long as the mists envelop you, be still’. On the whole, for me, there isn’t enough ‘stillness’ in social media environments. And I can also relate to the first line. My own expression has always been ‘When in doubt, don’t!’ So rushing off down rhizomatic paths isn’t really my style – but it has been fascinating to watch the paths that are being created and followed this week. Unlike ‘cheating is learning’ (last week’s topic), ‘enforcing independence’ has been summarily dismissed as a viable idea by some. Arca says “Independence cannot be enforced. End.” There is obviously a discussion to be had around independence as an important idea in association with pedagogy, but I’m not sure about the possibility of ‘enforcing’ independence. I might come back to that discussion in another post. Sarah HoneyChurch organised a live synchronous session last night for European/African participants – but I’m not sure if the session was about social bonding or something more substantial. Cath Ellis has tried to steer discussion towards actually reading Deleuze and Guattari’s work and bemoans the fact that many of us are engaging in discussion without having read the seminal text. She suggests reading the first 25 pages/introduction and has posted some links to documents in Facebook, to get us going. Not everyone is keen to do this reading. Maha Bali presents an alternative perspective. Maha Bali is also interested in researching the different forms of community interaction and its effects on learning in‪#‎rhizo14‬ and has put out a call for collaborators in the Facebook group. Penny Bentley is interested in the question ‘How does Rhizomatic Learning add to/enhance Connectivism? (also on Facebook). The discussion around ‘cheating as learning’ continues, with a number of people still concerned about the ethics of rhizomatic learning. Keith Hamon is interested in the relationship between ethical behaviour and boundaries in rhizomatic learning environments. A number of participants are creating badges for the course and awarding them as and when they feel appropriate. Many people are interested in how the ideas behind rhizomatic learning relate to their teaching practice. All this would suggest that ‘The community is the curriculum’, i.e. the curriculum this week, is being created more by the community than in relation to the week’s topic – which I assume was the intention behind the course design. But where does that leave Dave as the ‘director’ of conversation? What are the implications for his and our ‘power’ in the course? And I’m wondering about the word ‘community’ and whether everyone going off along their own rhizomatic paths is conducive to community. For example, will there be a break away ‘theory group’ and if there is would this militate against community? Is it reasonable to talk about rhizomatic learning in relation to community? I feel the mists descending again! Lovely post, Jenny, and I love the connections. I truly value the posts that bring things together and give a big picture of things. And you remind us that this is exactly a community creating their own curriculum. Dave seems to be enjoying it (if i may say so myself haha). RE: your latter question about theory folks breaking off… I was assuming several overlapping subgroups (special interest groups) might form. However, a couple of the theory folks are interested in researching with me and others, and i joked that they will be assigned the lit review (will have to reassure them i was kidding about that). I think the “director” or “facilitator” or whatever (in our case, Dave), is more like a seed for a sprouting rhizome. Going along with the metaphor, the community happens when divergent rhizomatic paths touch and cross-fertilize, and there will be some unintegrated divergence in the end, but I guess that is also ok.
And I’m already thinking of micelia and mutations, symbiosis, and what-not. Thanks for the summing up of different treads! 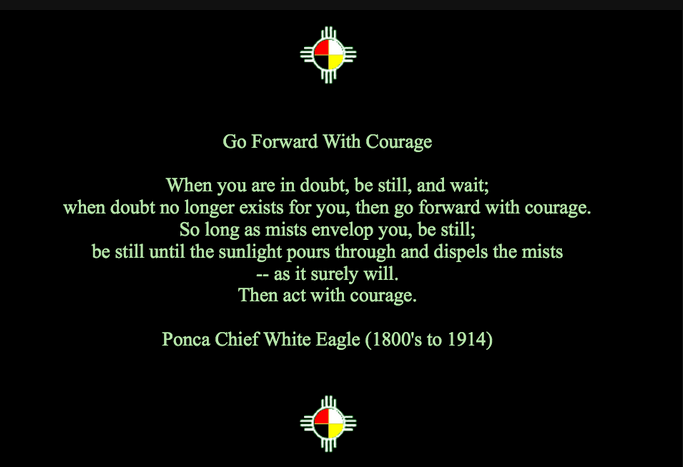 This is a post I will be coming back to;) I like the Chief’s words but think it would be a long wait for the mists to disperse for me. Although I love to read and think things through, I need to share my half-formed, half-baked ideas but that’s the beauty of community (a delightfully ambiguous word), different approaches and styles can make more than their sum. I don’t think there will be a break-off theory group except in the natural traces of conversations that happen. One of the enrichments that I hope for from my own reading and wider discussions of theory and its application is an improved understanding of diversity in learning communities. The community is the curriculum will only have meaning I think if there are still connections between heterogeneous ideas. Very nice post. It explains why in the MultiMOOC session I’m facilitating http://gplus.to/multimooc I haven’t set the agenda for next week’s activities yet. I figured the participants would be driving it by now (3 weeks, started just before Dave’s course or whatever). They aren’t but no worries. Next week is the networking week and I’ll steer them over here since this is a course that practices what it preaches (whereas mine merely preaches what this course practices :-). Not to worry, it’s a ‘session’ about cMOOCs (it’s not a MOOC) and it’s all F.U.N. Hi Maha, Andre, Frances and Vance – many thanks for your comments. Frances – I feel as though I live in a permanent fog 🙂 I only occasionally get a glimpse through the mist to a clear sky! Community. I don’t think community necessarily equates to homogeneity, but is it more homogeneous than I network? I suspect it is. Hi Jenny – loved this post, always like your writing. The synchronous session last night was great – definitely social bonding, which is valuable, but also we talked a lot about the ideas coming out from the course and it definitely helped me sort out some stuff. I hope the theory group stays open as well, though I do worry about putting others off if we talk too much about it in the Facebook group, and I don’t want anyone feeling they are not academic enough to join in. Jenny, amazing u feel u r always in a fog… Your posts help me with my own fog, though, like Frances, sharing my half-formed ideas also help me with the fog. Am not good at “stillness” physical or virtual. This course and the amazing ideas always have me feel like i am in a fog. The rhizo14 community is somewhat dispersed but we know where the town centers are. I like how we are sharing and considering ideas and agreeing and disagreeing and speaking from what we know and don’t know and want to know. “The war machine is a “grass roots” affair which bubbles up from common concerns for freedom to move, and as a result it is part and parcel of nomadic life.” It’s a response to the state which oppresses us. Nomads don’t like to be organised by the state. Neither do I, so that’s why I chose the name originally.